Predictions about various areas of life are being provided through different Nadi Chapters. The chapters are also called as Kandams. Chapter 1 deals with general predictions and personal details of an individual like name, parent’s name, spouse's name etc. Chapter 2 talks about family and finance and likewise there are different chapters to focus on various aspects of your life. Chapter 13 and 14 provides remedies for your problems. Readings for 1, 13 and 14 Nadi chapters are considered essential before proceeding with other chapters. A remedial Nadi Jothidam Chapter which guides you on the sins you had committed in your previous or significant births, and its impact on your current life. 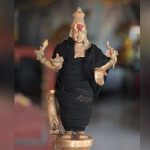 Another important remedial Nadi Jothidam which identifies the current negative influences due to unfavorable planetary positions, and casting of evil eye by jealous persons, which are the prime reasons for the crisis or obstacles in your life. Are you finding it difficult to settle down in your dream job? Then this chapter will greatly help you. It gives you information about your profession/career and predictions upon any ups/downs you may face in your professional life and changes in jobs. Every one of us will be excited to know about our next birth or incarnation. It is a blessing to attain Moksha and liberate self from the continuous cycle of birth and death. This chapter contains information about your future births and also makes you aware of your upcoming expenditures and losses. The chapter is helpful to know about your chances of overseas travel as well. Whether you are in search of your sibling or need to understand the compatibility with your siblings, Chapter 3 is the perfect choice for you to apprehend your future with your brother or sister. Are you longing for a child? Want to know the reason behind your sterility? Chapter 5 explains the reasons for you not having progeny so far and prescribes appropriate remedies. It also highlights information about your children, their birth star and horoscope and few of their future predictions. Find out the right time for your wedding bells (1st Marriage)by reading Chapter 7 Nadi Astrology. This chapter explains the reasons for delay in your marriage and proposes remedial measures. It also reveals when you will be married and for how long will you be married.